Gem collectors have long recognized that gems from particular geographical locations have distinctive features. High quality rubies from Burma, for example, tend to display a vivid fluorescent red while sapphires from Kashmir show a deep blue with a velvety softness. However, appearances can be inconclusive and sometimes deceiving. Many Madagascar sapphires look similar to Ceylon sapphires, so it can be hard to tell them apart just by looking. And some Vietnamese rubies have a very similar look to Burmese rubies. The best we can say, based on appearance, is that a particular ruby has a "Burmese look." Determining geographic origin by close examination of the material is a long standing goal of gemological science. It would be another step towards ensuring integrity in gem trading, and it would help identify the provenance of historically important gems whose origin is uncertain. But the problem is a hard one. 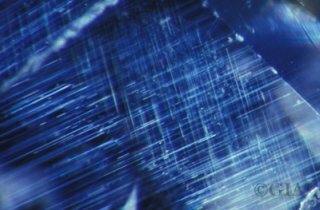 It requires going beyond surface appearance to the microscopic structure of the material, and observing the telltale signs of crystal formation that are distinctive of the specific locale. Because the exact geological conditions tend to be different in every location, we expect that sapphires from a specific mine will have a distinctive "fingerprint." But the problem is actually harder than just the close observation of inclusions and knowledge of how crystals form. It requires collecting reference specimens that can be used to develop a theory of the "fingerprint" for a gem variety at a specific locale. Leading gem gem labs now hire field gemologists to collect reference specimens from mines around the world. 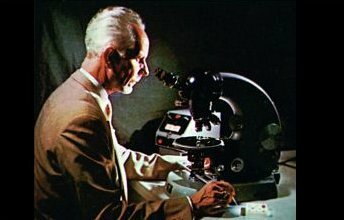 The pioneer in both the study of gemstone inclusions and the creation of a reference collection was Dr. Edward J. Gübelin (1913-2005). During a long career spanning more than 70 years, Dr. Gübelin collected more than 5,000 gemstone specimens from mines around the world, and developed a way to characterize gemstone deposits based on the study of inclusions. His groundbreaking work led the gemological community to develop the science of origin determination and encouraged gem labs to introduce country of origin reports. The science of origin determination for gemstones is still in its early days. Though the major gemology labs now offer country-of-origin reports, they do so for only a small number of gem varieties that have been intensively studied, such as emerald, sapphire, ruby, spinel and alexandrite. Their first task, if possible, is to identify the type of geological environment in which the crystal was formed. It may then be possible to identify the specific geographic region that matches the geological profile. Eventually it might be possible to identify the particular mining area. This is of great interest to ruby collectors, for example, who are very curious to know whether a Burmese ruby is from Mogok, Mong Hsu or Namya. "Based on available geological information, it is the opinion of the Laboratory that the origin of this material would be classified as Ceylon (Sri Lanka)."